The Candlelight Strings are available for live performances throughout the Central Coast. 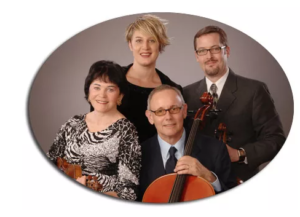 Their music can be tailored for your party or wedding and they offer classical music, contemporary music, chamber music, and arrangements by request. They perform regularly in Paso Robles, Atascadero, San Luis Obispo, Cambria, Monterey, Carmel, Oceano, Arroyo Grande, Avila Beach, Cayucos, Pismo Beach, Nipomo, Santa Maria, Los Alamos, Santa Ynez, Solvang, Goleta, Santa Barbara, and Montecito. various combinations of violins, viola, cello, flute, guitar, harp, bass, drums, and piano. Leader, Bette Byers, spent many years in Hollywood as a studio musician for TV, movies, and recordings. Some of the artists she has performed or recorded with are Nat King Cole, The Bee Gees, The Mamas and Papas, Frank Zappa, Johnny Mathis, Herb Alpert and the Tijuana Brass, The Beach Boys, Ray Charles, Dionne Warwick, Los Angeles Chamber Orchestra, Stevie Wonder, Led Zeppelin, Elton John, The Eagles, Marvin Gaye, Stevie Wonder, Aretha Franklyn, James Brown, The Jackson Five, Earth, Wind and Fire, Eric Clapton, Gladys Knight and the Pips, Neil Young, Elvis Presley, Billy Joel, Cat Stevens, The Carpenters, Donna Summer, Ike and Tina Turner, Lionel Ritchie, Diana Ross, The Supremes, The Osmonds, Carly Simon, Elvis Costello, Barry White, The Doors, Smokey Robinson, Sonny and Cher, John Denver, Little Richard, Barry Manilow, Ella Fitzgerald, Smokey Robinson, Whitney Houston, Dolly Parton, and Chaka Kahn. Many song selections are arranged by Bette Byers, and custom arrangements available on request.